The former Chicago Bulls is the new successor to Tim Miles and hopes to be the first coach in Nebraska history to bring them an NCAA Tournament win. Fred Hoiberg has been officially announced as the new head basketball coach of the Nebraska Cornhuskers. 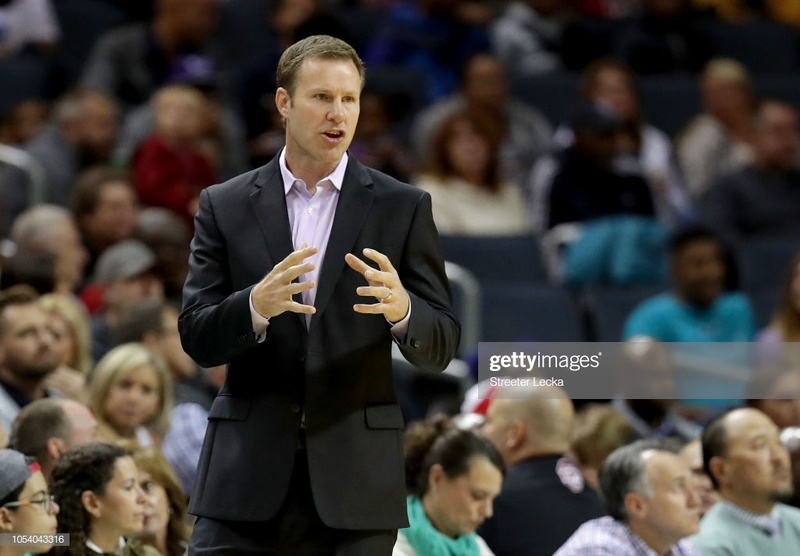 Hoiberg was last head coach of the Chicago Bulls where he coached from 2015-2018, being fired from the job in December. Hoiberg's contract is for 7 years, $25 million. Before Hoiberg joined the Bulls, he was the coach of the Iowa State Cyclones. In Ames, the 46-year-old had only one season where he didn't have a winning record; that was his first season where he went. 500. His other four seasons saw him make the NCAA Tournament. His best season was the 2013-14 season where his side made the Sweet 16 and finished third in the Big 12. "First, I want to thank Bill Moos, Chancellor Green and President Bounds for the opportunity to lead the Nebraska men's basketball program," Hoiberg said. "I can't express how excited I am to be back on the sidelines and to be coaching at a university that means a lot to my family and me. "Lincoln is a special place for our family. I was born in Lincoln, my grandfather Jerry Bush was the head coach at Nebraska, my other grandfather was a long-time professor there, and my parents are proud graduates of the University of Nebraska. Nebraska has always felt like a second home."